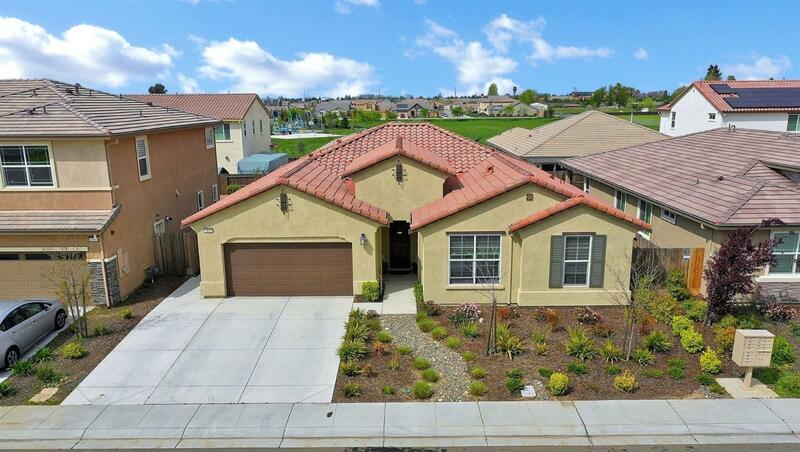 WOW, Don't Miss This Ruby Hills Stunner! Built by Meritage in 2016 with Lot's of Builder Upgrades! This Beautiful Home, That has Been Meticulously Maintained, is Bright, Open and Super clean! The Chefs Dream Gourmet Kitchen has Beautiful Upgraded Cabinets, Granite Counter Tops with Beautiful Back-splash & Large Island!! Beautiful Stainless Steel Whirlpool Appliances with Double Ovens. The Master Bathroom is Exquisite with Double Vanities, Separate Tub & Shower, & Walk-In Closet. Tankless Water Heater, extra wide cement driveway, fully landscaped Front & Back Yards, All Bedrooms Have Walk-In Closets, BBQ gas hook up, Pre-Plumbed. Easy walk to Silva Park! DO NOT MISS THE TWO VIDEO TOURS!